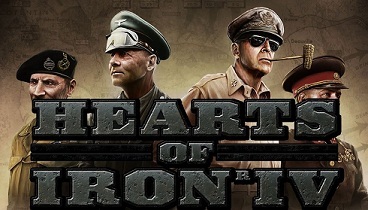 Hearts of Iron 4 (HoR4) is full of content and options, especially in the beginning you are confronted with many new information. If you already have experience with strategy games from Paradox Interactive, then you are already familiarized with their mechanics and the user interface. Here, we summarize the different items together for you. This value indicates how many soldiers available / recruited for ground, air and naval forces. This one measures the willpower in your nation to go into a war. If this value is high, a country to be seen later arise. If it is lower, then a nation is very fast lay down their arms. By special government officials you can increase this value. Fundamental to this value is the national spirit property, which can affect by people, actions, characteristics and properties. The leader of your faction gains political capital with time. This can set their national priorities or recruit consultants for scientific and military. Per day you will receive two points Political power and they can spend on diplomacy or law. There are three kinds of factories: civilian and military factories, and shipyards. There are orders available for your country. These convoys can transport both units and resources. This indicates how much experience your army, navy or air force has. This can explore your new units or develop existing troops. The World Tension appears you in the upper right of the screen. With a percentage indicate in a luminous circle and you can see how it looks in the entire world. For certain actions, a certain value is required. If this is reached, you can run the respective diplomatic or military action. If you click on the flag of your nation in the top left corner of the screen, then you get all the information on your faction. There you can see the portrait of your leader and you can scroll to the National Focus / focal points. These take 70 days to complete and can be compared with a technology tree. Improve your research in order to improve both the industry and the military. The research can be improved with the help of theoreticians and give you as bonuses to combat and weapon systems. - Economic laws: laws of this section affect your manpower, military production and consumer goods factories. - Building and Research speed, and the availability and amount of resources. - The Conscription Law: Defines and promotes the amount of manpower in your nation. You can choose to have a military leader, who becomes the commander in chief of your forces. Decide whether you want to put him in the Navy, Air Force or Army, because you can select only one area. Generally you have three to four research slots. You can further unlock by National priorities. There are eleven categories of research, which can explore during your scenario. - Artillery: Provides new features for artillery, tanks and air defense. - Aircraft: Explore your unit types of bombers, fighters and hunters. - Industry: Increases productivity and resource degradation in your faction. - Infantry: Turns infantry types freely (eg paratroopers, mechanized infantry, and Marines.) And enable bonuses for your divisions. - Country / Land doctrine: Gives you strong combat bonuses. But you have to decide between doctrines. - Air doctrine: Gives strong combat bonuses. You can select only one doctrine. - Marine: Turns warships, convoys and submarines free. - Marine doctrine: Like the other doctrines, battle bonuses will be granted and you can choose only one doctrine. - Panzer: Turns different types of tanks free. - Technology: Allows the use of various technologies, such as radar systems, nuclear bombs or computer technologies. - Support: You gain supporters for your forces, such as medics, engineers or mechanics.